/cm/ - Cute/Male » Searching for posts with the image hash ‘VVypUkTX1fu0y6cqOohkfQ==’. Searching for posts with the image hash ‘VVypUkTX1fu0y6cqOohkfQ==’. 1 results found. I think gap moe means something that is cute, but unexpected for the character? In that case, I don't think he's "gap moe", just regular moe. He's the pitcher for his high school baseball team, but because of bullying in his previous school, he's very shy and nervous and has no confidence. His only hobby is baseball as far as I know. He's the main character. He's kind of the baby of the team, so everybody has to look out for him and support him so that he can pitch well. It's very sweet seeing their relationships. The first character that comes to mind is the catcher, Abe (on the right in pic related). 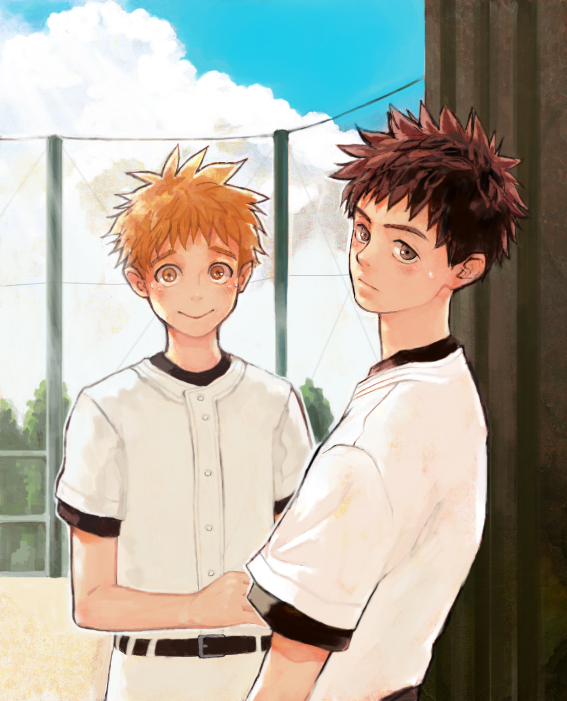 Abe is kind of rude and impatient, and he and Mihashi constantly misunderstand one another, but Mihashi respects him a lot and they work well together as a battery & try to work through their differences.